New & Improved! For over two decades, CSO Insights’ studies have highlighted the processes, practices, and operational metrics that define selling. For the first time, they’ve developed an overlay to the Sales Relationship Process (SRP) Matrix that provides specific best practices to drive sales success. Adversity or opportunity? We found surprises in unexpected places. If you make or influence decisions about sales strategy or need to understand how to win in the current market, this report is for you. 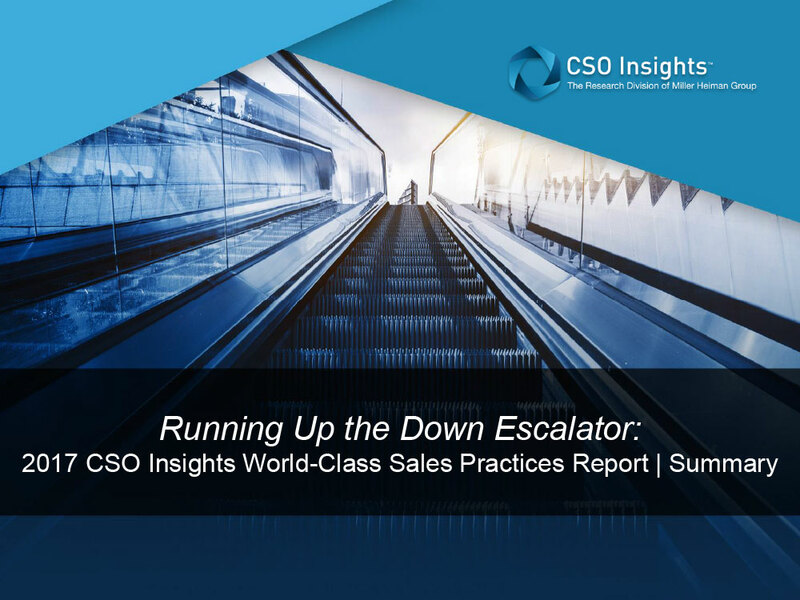 Fill out the information below and receive Running Up the Down Escalator: 2017 CSO Insights World-Class Sales Practices Report and Summary directly to your inbox.